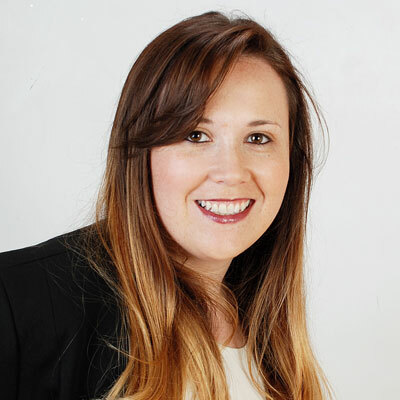 Melissa Lyons, global partner programs senior manager at Turbonomic, has over 8 years of channel sales and marketing experience in the IT industry. Melissa is currently responsible for driving the channel strategy and development of Turbonomic Partner Programs. Her experience includes building and launching partner programs for solution providers, MSPs, cloud partners, alliance partners and distribution partners in several regions around the globe, with the goal of helping partners increase their business while also achieving a high level of channel excellence by ensuring that the programs, processes and partner tools are simple to understand and can easily be adapted to meet the needs in each of the different markets worldwide. Melissa's accomplishments in the channel have been recognized by CRN's Top 100 People You Don't Know But Should list in 2013, CRN in 2014, 2015, 2016, 2017 with her inclusion in CRN's Women of the Channel list, CRN's Women of the Channel Up & Comers list in 2017 and by CompTIA as a ChannelChanger in 2017. Coming over to Turbonomic this past year was an extremely exciting move for me. I saw a huge opportunity for partners to help Turbonomic transform the way customers manage applications and workloads, and wanted to be a part of the team that would take our partner programs and overall channel strategy to the next level. During my first few months at the company, I've been digging into our existing programs, tools and processes and have been evaluating where our opportunities for growth are. We have a great foundation in place already, and are just getting started. I plan to make it easier for partners to work with and win with Turbonomic. We'll be rolling out a new program structure to better incentivize partners, launching a partner portal to make it easier for our partners to manage their business, and introducing training and accreditations to help partners ramp up more quickly. We'll also teach them to explore additional revenue streams, such as training, support and services offerings so that it is as easy as possible for our partners to be successful in the market and increase their overall revenue with Turbonomic. CompTIA ChannelChanger Award 2017 - This award recognizes three young professionals under the age of 30 who are making their mark within the Channel by demonstrating success or originality in the IT industry. CRN's Women of the Channel List 2017 - WOTC highlights the accomplishments of female executives, and the impact they are having on the advancement of the IT channel. CRN's WOTC Up & Comers List 2017 - The Up & Comers list gives special recognition to rising-star female executives. Mindy Kaling is someone that I've definitely come to admire. Not only is she an actress and a comedian, but she's also a writer, a producer, and a business woman who knew what industry she wanted to be in from the start and made it happen. She worked her way up and is now the one making the rules. She is confident and relatable, and promotes a strong message of self-acceptance without being too serious or pushy. Focus on changing and improving the things within your control and don't stress about the things outside your control. This is advice I still have to give myself today, but as a teenager it was easier to get caught up in things you couldn't change and be stubborn enough to think that you could. I've always been a very driven person, so had I refocused some of that energy to the things in my control, I could've achieved my desired outcome much quicker with the things I could change, and saved myself a few headaches with the things I couldn't. Being in a global role, I deal with many different cultures, language barriers and business models on a regular basis. I've picked up a lot about how the channel model varies in different regions, but think it would make me much stronger at my job if I was able to master the business etiquette of other major regions around the globe. How I introduce myself, present and conduct meetings, and interact with different people within an organization carries a lot of weight and if done correctly, will make me more successful at building relationships with partners everywhere. Tribes by Seth Godin. This book is about how it's natural for people to seek out tribes and how the internet and especially social media has eliminated barriers and made it easier for all different types of leaders to rise and rally their tribes. I thought it was a very interesting take on learning leadership skills, and makes you think differently about how social media has impacted and shaped young leaders.